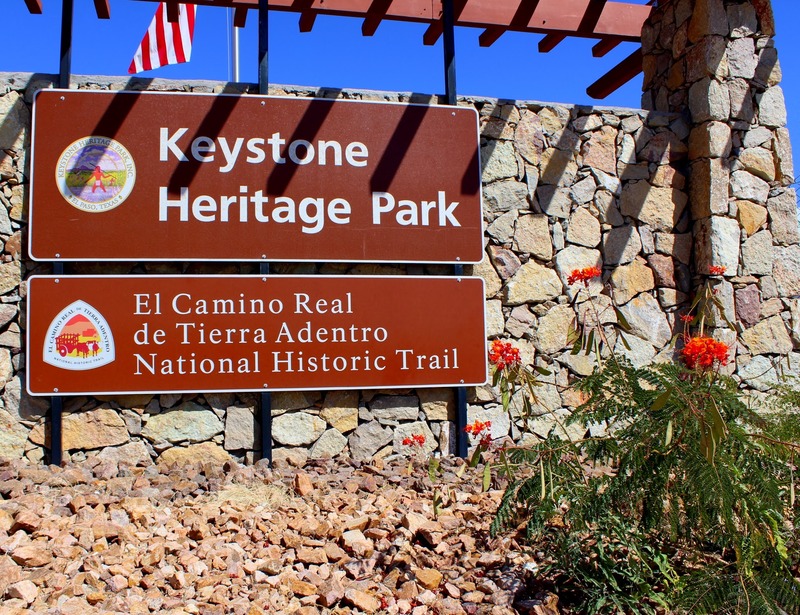 Keystone Heritage Park and the El Paso Desert Botanical Gardens is an archeological site, an archaic wetlands and a botanical garden. The 52-acre park in El Paso’s Upper Valley is a City-owned property leased to a volunteer Board of Directors who are charged with preserving and developing the Park. The Archeological Site was first discovered in the late 1970s by the Corps of Engineers during the construction of flood control dams. Runoff from a thunderstorm washed away the bank of a shallow arroyo revealing a cut-away of an ancient pitch house. Preliminary research revealed the hut was part of a larger village. Carbon dating indicated the site was 4000+ years old. According to National Geographic Magazine, it may be one of the largest and oldest villages of its kind in the United States. Keystone Wetlands is home to many species of birds and is a stop on a migratory route for even more. Over 206 species of birds have been spotted there, including 22 species considered rare by the Audubon Society. These archaic wetlands, protected by Federal Law, depict the wetlands/Bosque that once lined the Rio Grande. The Botanical Garden at Keystone is a project adopted by the Junior League of El Paso in the year 2000. 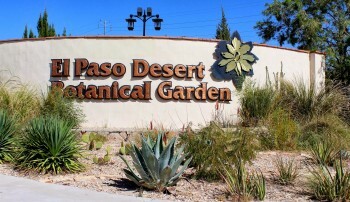 In 2003, the Rotary Club of El Paso committed to building Phase Two of the garden. The Garden encompasses features such as a Xeric demonstration garden, a children’s garden, an amphitheater, a moonlight garden, an ethno-botanical garden and more. This Garden represents an approximate $1.2 million investment in our community and is the result of donations and volunteer work by individuals, youth and Eagle Scouts and businesses on both sides of our border. We are always open to working community groups with projects to help enhance, preserve and protect the Park. The now maturing garden is available for events such as weddings, reunions and corporate gatherings. Please call 915-584-0563 for information and information on how to contact our Board and Events Director.